These stores would join Dicks Sporting Goods, Marshalls, 5 Below, & Petsmart which are slated to open within the next 12 months. 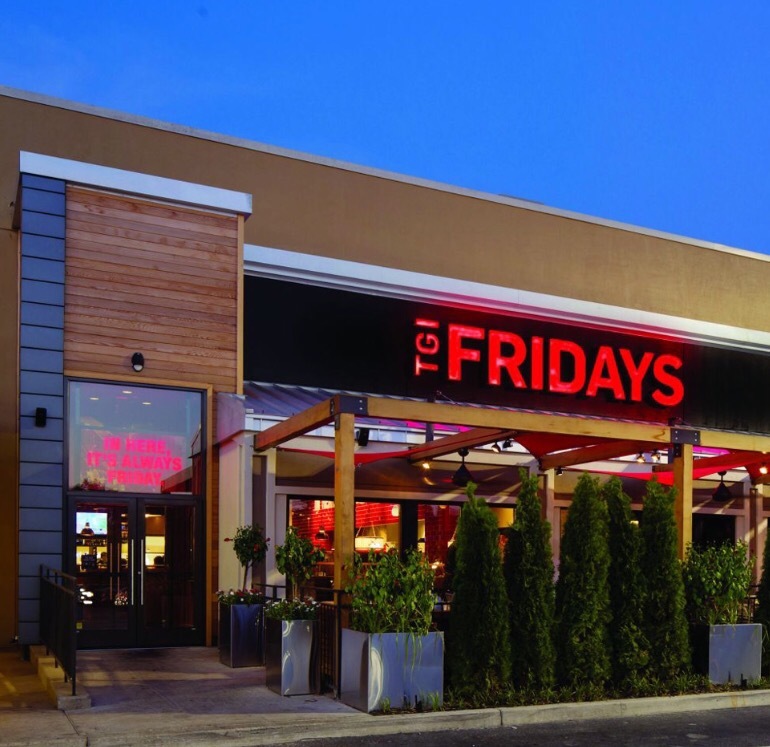 Some residents were expecting a healthier restaurant anchor or more of a craft or specialty concept in lieu of TGI Fridays. There was also the discussion of Panera Bread and a dry cleaners that was proposed by residents. The response was that there were no negotiations with a dry cleaners at this time and nothing formalized with Panera Bread. What are your thoughts on the upcoming retail options? Just a 5 minute drive away WBJ posted an update on the New City DC Development by Douglas Development Corp. Its dramatic architectural aesthetic will transform the intersection of N.Y. Ave. & Bladensburg Road. 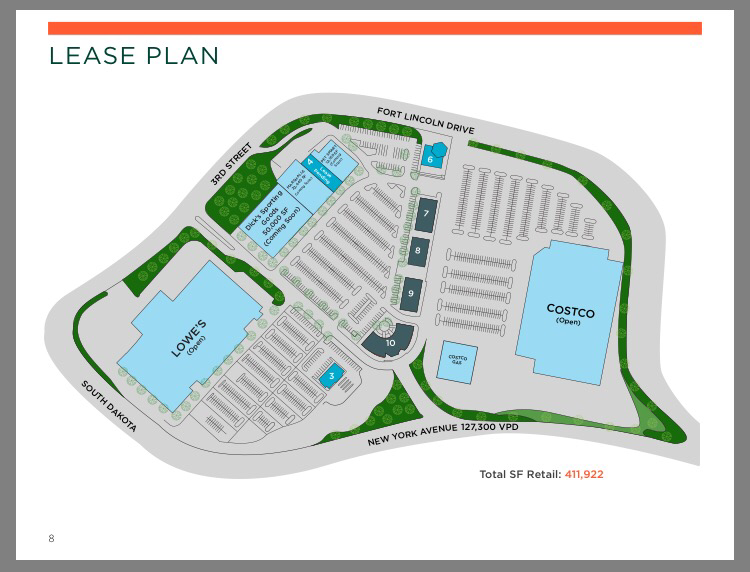 The renderings also allude to such retail options as a cinema, Target, and Wegmans but does not call it out specifically. The link to the WBJ article is below. There will be more information on New City DC in the March ANC 5C Meeting. Is this location the first for this concept “upscale TGIF”? I’ve never heard of it and I don’t see anything online. We were told it’s a new concept. Not sure if it has been used in other locations. For those requesting a dry cleaners, please consider that many dry cleaners outsource many of their services to centralized locations (especially as more and more concerns are raised about the dangerous chemicals inherent in the process). As such, drycleaning is a service that might be better left to mobile services (such as Washio to tomydoordc.com) rather than retail storefronts. These services are very convenient and comparable in price to storefront locations (after all, they use the same service providers while not paying rent!). I, for one, would prefer not to have such industrial activity in the neighborhood when it can be outsourced elsewhere. I would like to see one or two restaurants that are not commercially chained restaurants. Something more local. I do not care much for a dry cleaner. Please remember, the retail at the Shops are not for the community. Therefore, you can forget local unless you know a local business that is seriously interested. I too have a wish list that is not being fulfilled. However, I am glad this is not the Skyland debacle and we are getting retail other than Old Country Buffet and America’s Best Wings. You will get your local restaurant at the Hechts warehouse and New City DC. Yup. At the ANC meeting update from the developer I consider the Shops discussion closed. It is quite apparent that the Shops got muscled out by New City, Ivy City, and the MASSIVE project on its way at Rhode Island. This all makes complete sense to me. Why would the stores we were originally hoping for come here when those locations are much better. This is a case where rapid, intense development burned the original vision of the Shops. My worry now is that the Shopes might turn into a sad little shopping center and negatively impact our community. It’s far from a sad little shopping center, it serves a more family oriented, suburban/homeowner density versus the typical urban mixed use rental density. Overtime I believe it’s more sustainable we just need to get a grocery and fitness option. I feel your frustration, we do have brighter days ahead. A Panera Bread would be nice but at this point I’d settle for Chik-Fil-A! Other than Columbia Heights I don’t think there’s another in D.C. If there is anyway to push for a smaller grocery option, please do! OOOOOOOhhhhhhh chik-fil-a would be awesome!! If you go to the CBRE website (http://www.cbre.us/o/washingtondc/properties/dakota-crossing/Pages/elevations.aspx) and click each building, you’ll see more than 3 stores per building. I counted at least 20 total stores not including the large stores like Lowes and Costco. That’s more than enough room to fulfill most of our wish list. Since we’re not getting a bank, perhaps a Chick-fil-a should go in that spot. That’s the only “fast food” I would except. Please no more Five Guys. I just hope they don’t leave so many storefronts vacant like Rhode Island Row. I’m not saying they should throw anything in there, but at least make an attempt to fully occupy the shopping center with the neighborhood’s wish list. A healthy, tasty, small-chain option is Sweet Greens. They have one on the Hill and elsewhere. Also, too bad we can’t get the Moms Organic on NY Avenue, which is awesome, but always empty, to come over here. Lastly, any thoughts on kids’ entertainment? Are there enough kids 4-10 yo in the area to support it–true others will come, but locals are more loyal. Please consider a District Taco vs a Chipotle. There is already one at RI Row and Brookland now. I think that the following food options would be great: Sweet Green; Pete’s New Haven Pizza; The Cheesecake Factory; Bethesda Bagels; Shophouse; Chipotle; IHop; Roti; Dunkin Donuts. Also, a grocery store (Whole Foods, Wegmans, or Trader Joes), a gym, a pharmacy, and a dry cleaner! I agree with Courtney. A Trader Joes would be awesome!!!!! Why not have a Matchbox Restaurant, or a Bonefish Grill, or Ted’s Bulletin, Panera Bread for breakfast and lunch options. I realize politics and money come into play, but as residents, do we have any say so. Remember it was the residents of West End who wrote to Trader Joes because there were no grocery options. To date, it is one of the top grossing locations. 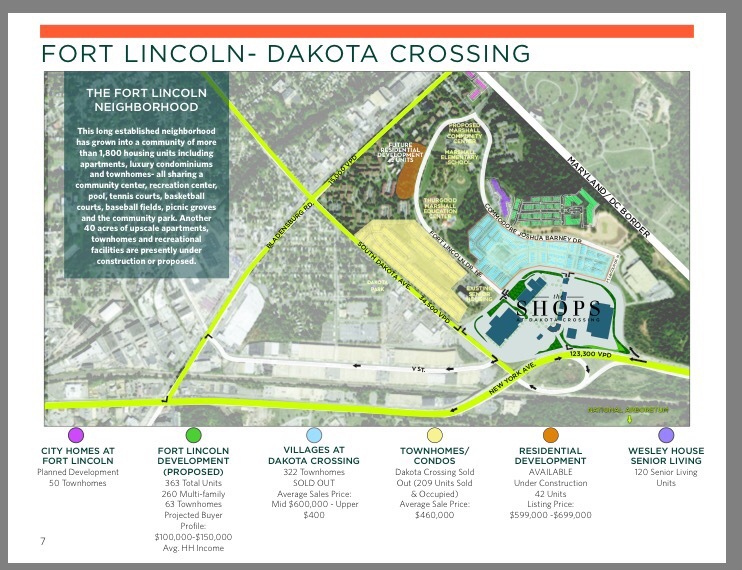 As a Fort Lincoln resident, I would love to walk to fine dining (Friday’s NOT). Will have updates in soon.